Catalent Pharma Solutions, the leading global provider of advanced delivery technologies and development solutions for drugs, biologics, consumer health and global clinical supply services, today announced two key appointments and the opening of a new sales office in Korea to support the company’s continued investment and strategic growth plans in the Asia Pacific region. 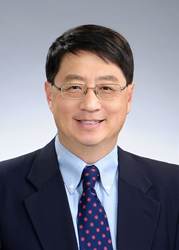 Howard Kim has joined the company in the role of Director of Business Development in Korea, and will work between Catalent’s new sales office in Seoul, South Korea, and the company’s Somerset, NJ, headquarters. Mr. Kim will manage business development activities across all of Catalent’s business units in the expanding Korean market. Prior to joining Catalent, Mr. Kim was responsible for developing businesses for Korean pharmaceutical companies in the U.S. and in Europe. He has also worked for Novartis, Sandoz, Schering-Plough, Wyeth, and Merck in the areas of product supply and planning. In a second appointment, Erin Vlack has been promoted to Manager of the company’s new Clinical Supply Services site in Kakegawa, Japan, which is to provide secondary packaging, labeling, storage and distribution capabilities locally. In this role, Ms. Vlack will establish and lead the site’s clinical supply operations, driving the business strategy, achieving necessary regulatory standards, meeting on-time delivery, quality, and efficiency targets, and establishing safe working practices within the site’s cGMP environment. Ms. Vlack has twelve years of progressive project management experience, a decade of which spans Japanese business strategy, contract manufacturing, pharmaceutical and clinical trial logistics, and supply and depot management. Since joining Catalent in April 2015, Ms. Vlack has held the role of Project Manager at the company’s Morrisville, North Carolina facility in the US. Prior to this she lived, studied and worked in and around Japan for over 20 years. Catalent has offered clinical supply services in the region since 2005, and within the past three years has made significant capital investments totaling more than $10 million with additional personnel to expand its overall Asia-Pacific footprint to meet growing customer demand. Today, the company’s network spans nine audited depots and three fully-owned and operated clinical packaging facilities in China, Singapore, and Japan when it opens for business later this year. Available services include primary and secondary packaging, demand led supply services, clinical storage, cold chain services, global distribution, comparator sourcing, project management, clinical supply management, regulatory consulting, and returns and destruction.